We all know that life is more complicated than it was in our grandparents’ day. That’s true across the spectrum of life’s issues, but it is especially true in the area of money and finances. Today, there are fewer guaranteed options to rely on and vastly more financial decisions to make. Just a couple of generations ago, investment choices were primarily limited to choosing between stocks and bonds. Today, we are presented with mutual funds, ETFs, master limited partnerships, annuities, and variable universal life insurance, just to name a few. It’s no wonder that so many of us are left feeling overwhelmed. However, just a few basic principles can bring a little clarity to the confusion. What do you think of when you hear the word “wealth”? The popular media today often portrays wealth in a negative light. The wealthy are portrayed as not paying their fair share, as being greedy, or as taking advantage of others. However, this interpretation of wealth is not accurate. Wealth, as properly understood, is the accumulation of resources beyond your current needs. Whatever your financial goals, you will need to spend less than you make (generate a surplus), save that surplus, and invest it so that it will grow to a level which will fund those goals – retirement, college for the kids, your next house, etc. Simply put, you need to build wealth. If you have a preconceived notion that building wealth is bad, or if you see it as synonymous with being greedy and selfish, you may subconsciously sabotage your financial future. You won’t make the wise decisions needed to accumulate a surplus and invest it, and you won’t accomplish your financial goals. Regardless of whether you are already married or would like to be married someday, marriage is not a financial plan. All marriages will end (either through death or divorce), so it is important to develop a plan for how your needs are going to be met. Even if you’re married now, and remain so for decades to come, you need to take an active role in developing a financial plan for how both of your needs will be met. This is the perfect metaphor because it is a perfect example of how savings create savings. One acorn will give rise to one mighty oak. But to stop there is to miss the magic of the story. The mighty oak will bear additional acorns, which over time, and with the help of the wind, rain, and scurrying animals, will be spread over vast distances. Each additional acorn creates another mighty oak which will create more acorns, and the process grows exponentially. This is the same sort of magic that occurs with savings and compound interest. You save a little, and over the course of a year, you’ll earn a little interest on that savings. But then in future years you’ll earn interest on the original savings, AND you’ll earn interest on the interest. It compounds! Just as one acorn begets thousands of forests, so too does saving a few dollars beget thousands of dollars for retirement. Of course, the opposite is also true. We skip the $10 and $50 and $100 contributions to our savings because we don’t see them as the large future amounts they really are. We don’t remember that over 20 years, $10 can become $46; $50 can become $233, and $100 can become $466. To further illustrate the point, multiply that by twelve months of savings. Saving $50 per month for 20 years can produce a nest-egg of $32,000. Skip just 3 of those contributions each year, and the nest-egg potential is reduced to $24,000. Spending that extra $150 per year (instead of saving it) can cost $8,000. Saving a little is a really big deal. Everyone knows that the stock market is “risky.” Stocks go up, and stocks go down. Some stocks can lose all their value, and you can lose your money if you invest the wrong way in the stock market. However, not investing at all carries its own risk – the risk that the value of your money will not keep up with the pace of inflation (the rise in overall prices). The risk of inflation affects every one of us, and it will always be there. The long-term average inflation in this country is 3% per year. That means that something which costs $1.00 today, will cost $1.03 in a year, $1.06 in two years. That doesn’t seem like a big change, but in about 24 years the price of that item will have doubled. If your savings are not earning enough to at least keep up with inflation, you will not be able to pay as many expenses (groceries, gas, clothes, electricity, etc.) in the future as you can today. If you are not earning any interest, your money will be worth half as much in 24 years as it is now. Risks have to be taken…even doing nothing is a risk. The key is to balance the risks on both ends of the spectrum – doing nothing vs. investing everything in the stock market. The good news is that you don’t have to find that balance on your own. There are plenty of objective financial advisors that can walk you through that decision-making process to find the level of risk that is appropriate for you and your financial goals. We all put off doing what we don’t want to do, what we don’t understand, or what intimidates us. Dealing with money and finances can hit all three of those procrastination triggers. Understanding the resources you have and the debts that you owe, building a budget, and developing a financial plan are all learned skills. You don’t have to be “good with money” to take control of your financial future. It requires an investment of your time, and will likely require outside advice, but you can be successful – in fact, very successful! The time to begin developing financial security is today. Whether you start small or start big, the important thing is to start. If you don’t know where to start, call an objective financial planner – not one of the ones who will sell you the latest, greatest annuity, mutual fund or insurance product, but one of the ones who offer advice free from any conflicts of interest. Most of these objective advisors will give you an hour or so, and a few pointers to get started, for free. 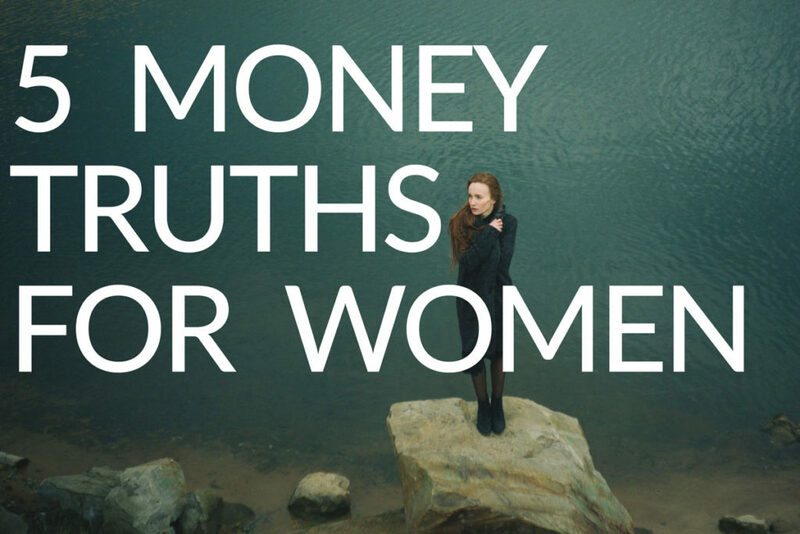 There you have it: 5 money truths that will help you feel less overwhelmed and intimidated by the financial decisions that all of us face. Though none of these truths are new, they are unknown or ignored by many. Learning to live by them will allow you to positively impact your financial security. Ignoring them can lead to insecurity at the least, and calamity at the extreme. Now is the time to take control and chart your own future. Now is the time to seize the day. 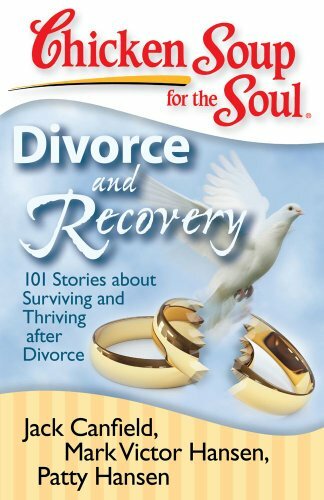 Filled with heartfelt, personal stories, Chicken Soup for the Soul: Divorce and Recovery provides support, inspiration, and humor on all the phases of divorce, including the initial shock of the decision, the logistics of living through it, self-discovery, and the new world of dating and even remarriage. 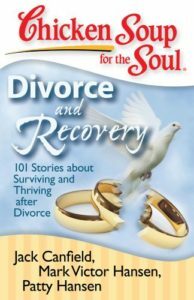 Readers going through a divorce will find this book a great source of emotional support and a guide as they go through the process. DivorceHelp.org to Host Divorce Workshop for Women at Oneonta Church in South Pasadena on Saturday, February 13th, at 8:30 a.m. Following a successful inaugural event in January, the DivorceHelp.org Monthly Half-Day Workshop returns to deliver Financial, emotional and gegal advice for San Gabriel Valley Women facing divorce. Read more here. No two divorces are the same; they are different, and to some extent you have a choice as to what type of divorce you will have. Everyone who is going through a divorce wants to have an “easy” divorce. Nobody wants to have a difficult one. But that choice is something which is largely outside your control. You can decide to be reasonable and civil, but you cannot control what your spouse will do. So instead of focusing on something you cannot control, we suggest you focus on what you can – the process you choose to end the marriage. There are four general categories of divorce: Do-It-Yourself (DIY), Mediation, Collaborative and Litigation. Each has it advantages and disadvantages. The name here is very misleading. It implies strongly that you can divorce yourself. Don’t try this. Divorce is very complicated, legally and financially. You can make mistakes easily, and they are often irreversible; once you and your spouse sign off on the divorce, the court will make that final. If you later discover something that was missed, it will be tough to make your former spouse re-open the divorce. So, please do not try this yourself, but if you insist, then at least engage a separate attorney to look over what you’ve agreed to before you sign the final document. Result in a better long-term relationship with your ex-husband since you will not “fight” in court. Be incomplete or unduly favorable to one spouse. If the mediator is inexperienced or biased towards your husband, the outcome could be unfavorable for you. Fail to uncover certain assets. Since all financial information is voluntarily disclosed and there is no subpoena of records, your husband could potentially hide assets/income. Reinforce unhealthy behavior patterns. If one spouse is dominating and the other is submissive, the final settlement may not be fair. Fuel emotions. Mediation could increase negative behavior of a spouse with a propensity for physical/mental or drugs/alcohol abuse. Couples often hear about the wonders of mediation and how it is reportedly a better, less contentious, less expensive and more “dignified” way to get a divorce. However, my biggest problem with mediation is that the sole role and goal of the mediator is to get the parties to come to an agreement –any agreement! Remember, the mediator cannot give any advice. All they can do is try to get you to agree. Unfortunately, not all agreements are good agreements, and in fact, in many cases, no agreement is better than a bad agreement. So unless both parties can be fairly reasonable and amicable (and if they can be, why are they getting divorced??? ), I believe that mediation is usually not a viable option for most women. During a collaborative divorce both you and your husband will each hire an attorney who has been trained in the collaborative divorce process. The role of the attorneys in a collaborative divorce is quite different than in a traditional divorce. Each attorney advises and assists their client in negotiating a settlement agreement. You will meet with your attorney separately and you and your attorney will also meet with your husband and his attorney. The collaborative process may also involve other neutral professionals such as a divorce financial planner who will help both of you work through your financial issues, and a coach or therapist who can help guide both of you through child custody and other emotionally charged issues. In the collaborative process, you, your husband and your respective attorneys all must sign an agreement that requires that both attorneys withdraw from the case if a settlement is not reached and/or if litigation is threatened. If this happens, both you and your husband must start all over again and find new attorneys. Neither party can use the same attorneys again! Unfortunately, though, I have found that the collaborative method often doesn’t work well to settle divorces involving complicated financial situations or when there are significant assets. In collaborative divorce, just as in mediation, all financial information (income, assets and liabilities) is disclosed voluntarily. Often the husband controls the “purse strings,” and the wife is generally unaware of the details of their financial situation. When this kind of inequality exists, the door is often wide open for the husband to hide assets. What’s more, many high net worth divorces involve businesses and professional practices where it is relatively easy to hide assets and income. Additionally, the issue of valuation can be quite contentious. You suspect your husband is hiding assets/income. Your husband is domineering, and you have trouble speaking up or you’re afraid to voice your opinions. You or your husband has a drug/alcohol addiction. Here’s my last word of advice about divorce alternatives: Weigh divorce options carefully. The bottom line is that every family, and every divorce, is different. Obviously, if you are able to work with your husband to make decisions and both of you are honest and reasonable, then mediation or the collaborative method may be best. But, if you have doubts, it is good to be ready with “Plan B” which would be the litigated divorce. We all know and can imagine that divorce is difficult. But rarely do we get it told to us straight just how hard it really is. Should you trust your ex? Will your mother-in-law stop speaking to you? Are there any upsides? From experts as well as women who’ve been through it and survived, here are 10 things every woman should know. You will outgrow your married friends. Divorce is so wrenching, it’s understandable why you will want every other relationship in your life to remain the same. But that’s not always possible or desirable. Chrystie Vahon from Portland, ME recalls, “I suddenly found myself distancing from my married friends and them doing the same. Being around them reminded me of my own failed relationship and being around me made them feel guilty for being happily married.” Spending time with other women who have been through the specific pain of divorce can be very healing. Therapy is mandatory. This is a tumultuous time for you and it’s helpful to avail yourself of what can be gained by seeing a professional. KJ Greenwood from San Diego, CA, says, “Initially I bought into the stigma that therapy was for crazy people. But after finally seeking out a therapist, I’m a much better person than I would ever have been without.” Again, it’s important to gothrough the painful experience, not try and find ways around it. Cut all financial ties. It’s not enough just to close out the joint checking and savings account. Do a thorough investigation about what assets the two of you hold together. Julie Browne from Denver, CO, says, “Several years after my divorce, I had a delinquent timeshare payment pop up on my credit report, for the timeshare he had kept in the settlement.” Since her name was still listed, she started receiving collection calls and her credit took a hit. 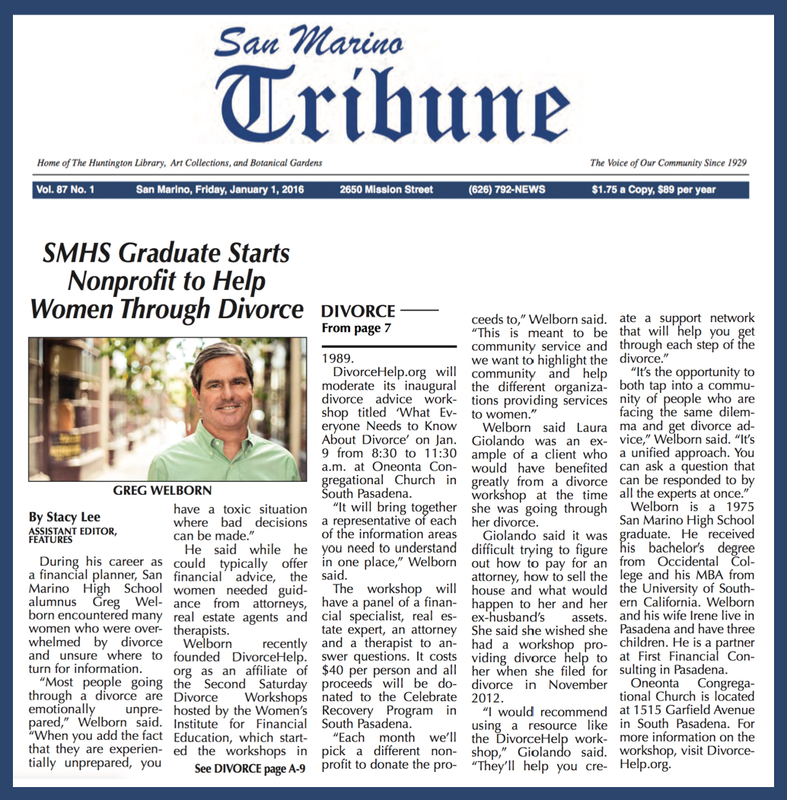 Not only can divorce lead to emotional strain, it can also cause all sorts of financial problems. All those shared accounts and co-signed loans that once seemed so romantic are now the cause of major issues. The following important tips can help avoid financial damages due to a divorce. Creditors aren’t interested in how property and bills are divided during divorce. If you have debt in joint accounts with your spouse, you are both responsible for paying it back. Creditors are not legally bound to abide by your final decree of divorce. A judge’s order does not override what you owe your creditors and most attorneys don’t alert their clients to the potential for problems if one spouse does not follow the court order. Below are some tips that will help keep divorce from ruining your credit. Before you separate when possible, close all joint credit accounts. Closing them before divorce proceedings will keep an angry spouse from using the account and running up charges that you may later be held responsible for. You should seriously consider turning all credit cards, gas cards and any retail accounts into individual accounts. Doing this will mean not having to re-establish credit in your own name after the divorce because you will already have it. It can also cut down on the amount of friction once the divorce process starts. Offer to close the accounts by paying a smaller amount than is owed. If this is done, get a letter from the creditor that the account has been paid in full and a written promise that they will not file anything derogatory about the account to the credit reporting agencies. If you are not able to pay off or come to a settlement agreement regarding the balance owed this would be your best move. This will keep you from being able to use the account but will also protect you in the long run. Once the divorce is final, the balance owed on the account can be transferred to the party the court holds responsible for the debt. If the responsible party does not pay the debt then you don’t have to worry about it affecting your credit score. Alert them to the fact that you are going through a divorce. If there is a change of address, make sure they know it so that you will continue to receive bills from all joint accounts. Divorce proceedings can take months and all it takes is one late payment to hurt your credit. Even if you have to pay the minimum on accounts that you know will ultimately be your spouses responsibility it will be worth it. If you have additional questions on what you should and shouldn’t do when it comes to your credit be sure to check with an attorney or financial adviso. Laws do change, so make sure you know what your options are should it come to the point where divorce is inevitable. Reasons for the surge in splits vary. Increasing longevity offers more risk that couples might grow apart; the kids have grown up and moved out, taking with them reasons for staying together; more women are working, with some of them out-earning their spouses; and, there’s less stigma to calling it quits. 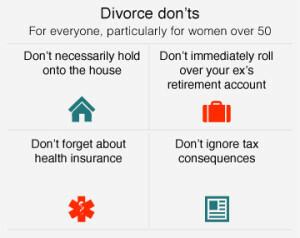 Whatever the reason, later-life divorce hits women especially hard. After a divorce, household income drops by about 25% for men—and more than 40% for women, according to U.S. government statistics.2 “Gray divorce can be economically devastating, especially for women who have been out of the labor force,” says Dr. Brown. At the same time, retirement is more expensive when you’re solo rather than half of a twosome. On a per-person basis, the cost of living for singles is 40% to 50% higher than for couples, according to the American Academy of Actuaries.3 And another consequence of a mid- to later-life split is that there’s less time to recover financially, recoup losses, retire debt, and ride out market ups and downs. Meanwhile, women’s life expectancy is climbing into the 80s, meaning that they may be living longer with less. Plan ahead.Careful preparation before your divorce may pay off. For instance, having a financial planner or accountant work with your divorce lawyer or mediator can help you make the right decisions about a divorce settlement that includes a more comfortable retirement. Gather all records.“The three most important words during divorce are document, document, document,” says Ginita Wall, a financial planner and co-founder of WIFE.org (Women’s Institute for Financial Education). Make a clear copy of all tax returns, loan applications, wills, trusts, financial statements, banking information, brokerage statements, loan documents, credit card statements, deeds to real property, car registrations, insurance inventories, and insurance policies. Copy records that can trace and verify your separate property, such as an inheritance or family gifts. Know what you owe.Hidden debt is a common nasty surprise among divorcing couples. In the nine states with community property laws—Arizona, California, Idaho, Louisiana, Nevada, New Mexico, Texas, Washington, and Wisconsin—you’ll be held responsible for half your spouse’s debt, even if the debt isn’t in your name. You may also run into trouble in a non–community property state if you and your spouse hold credit cards or loans jointly. Get a full credit report to make sure there are no surprises on it. Annualcreditreport.com provides free credit reports every 12 months from each of the three credit bureaus. Document your household goods.Take photos of valuables around the house—jewelry, art, Oriental carpets, the sterling silver tea set. It’s not unheard for divorcing spouses to hide assets from one another. Get your fair share. Half of everything is yours—if you acquired it during your marriage—whether you want it or not. Even if you’ve always abhorred that LeRoy Neiman painting your husband insisted on buying, it can be used to trade for something you do want. If you helped put your husband through graduate school, law school, or medical school, you may be entitled to some reimbursement for the cost of his tuition. Keep close tabs on legal and adviser fees.What you pay your divorce advisers will come out of your settlement, so make sure you keep track of what they are spending on your behalf. Remember that your lawyer is a paid professional who is billing you at an hourly rate. Be mindful of the time your lawyer spends with and for you. You must have been married for 10 years or longer. You must not be currently married. Your own earnings must not entitle you to receive a higher benefit. 1. Don’t necessarily hold onto the house. Your house may have sentimental value, but keeping it doesn’t always make financial sense, especially if it’s a stretch to pay for the upkeep and property taxes. Compared with a well-diversified retirement savings account, a home is more likely to have ongoing and unexpected expenses, and its future value isn’t assured. 2. Don’t ignore tax consequences. Should you take monthly alimony or a lump sum? Should you take the brokerage account or the retirement plan? Should you keep the house or sell it now? Who should pay the mortgage until it sells? You may need to consult an accountant or tax adviser to determine what makes sense for your situation, and if there’s a chance that your past joint tax returns omitted income or overstated deductions, you may want to consider an indemnification clause to protect yourself in case of an audit. 3. Don’t forget about health insurance. If you’ve been covered by your spouse’s policy, you may face a gap in coverage after your divorce and before Medicare kicks in at age 65. If you don’t have coverage of your own at work, you can continue your spouse’s existing coverage through COBRA for up to 36 months, but your cost is likely to be substantially more than it was before the divorce. It may also be more expensive than the health care coverage you can get from your state’s health insurance exchange under the new Affordable Care Act, so it’s best to check. 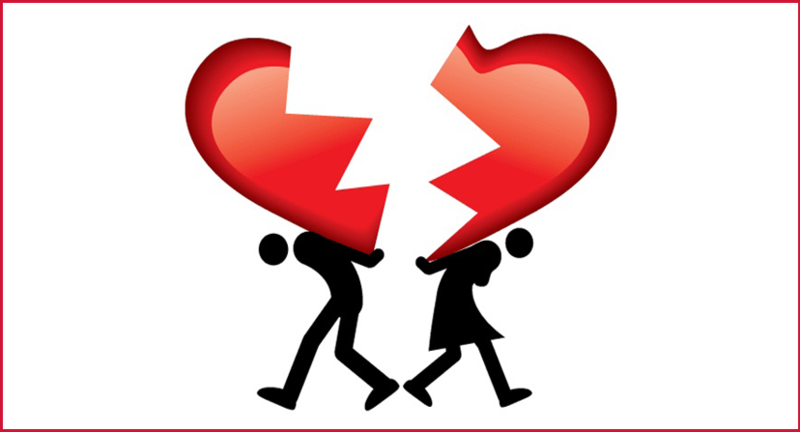 Couples who can’t afford new, separate health insurance policies may want to consider a legal separation instead; that way, you can keep your ex’s health insurance but separate the other assets. 4. Don’t immediately roll over your ex’s retirement account into an IRA. If your divorce settlement allocates assets under a qualified domestic relations order (QDRO), you can make a one-time withdrawal from your ex’s 401(k) or 403(b) without paying the normal 10% tax, even if you’re under age 59½. If you think you’ll need money for unavoidable divorce expenses, you may want to make the withdrawal rather than doing a rollover. Otherwise, if you roll the money into an IRA and then need to tap it for divorce costs, you’ll be subject to the standard 10% early withdrawal penalty.